Li Qinghong riding high. He used to compete against the likes of Han Han. 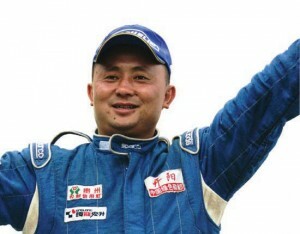 Li Qinghong, a one-time business tycoon and race car driver, has made news from prison. The former National People’s Congress representative was detained in 2008 on suspicion of gambling and charged with this and other “mafia” crimes in the spring of 2010. Li appealed on the grounds that he had no ties to organized crime [zh]. He has already begun serving a 19-year sentence, but is awaiting trial again as he and several dozen other defendants claim the police tortured confessions out of them. Did you cause injury to X* Wenjun and others? A: I’m not sure about this event. Q: Is all of the above that you said true? A: It is all true. Q: I have let you read the above record. Is it the same as what you said? A: You have let me read the above record. It is the same as what you said. * This person’s last name is illegible, and there does not appear to be any information about him available online. Si’s 1370-some commenters doubt the real criminal is the one behind bars. “Before I said screw Chongqing,” writes @LawyerMaXiaojun (@马晓军律师), alluding to Bo Xilai’s “beat black” anti-corruption campaign, “Now I say screw Guiyang” (前有我靠重庆，今有我靠贵阳). “I have read the above record, it is the same as what you said” (以上笔录我看过 和你说的一样) is poised to reach memedom.